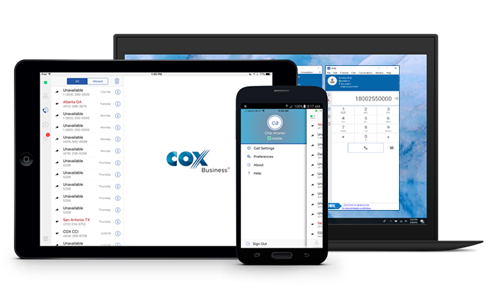 By adding Unified Communications to a hosted voice seat or business phone line in your organization, you can offer mobility tools for any employee, through the updated UC apps for Mobile, for Tablet, or for Desktop. Available for both iPhone and Android, this app puts all the power of your office phone right in your pocket. Updated apps are also available for Tablet and Desktop users. Our UC Apps support business phone calls over a data connection or mobile phone line of your smartphone. UC apps can integrate directly with the mobile phone line, ensuring reliable voice quality and reduced mobile data usage. Instantly reach co-workers with vital information, no matter where they are. Seamlessly move an active call between your desk phone and UC apps without interrupting the conversation.